Rasnov Fortified Church - Castles and Fortresses in Transylvania, Romania. 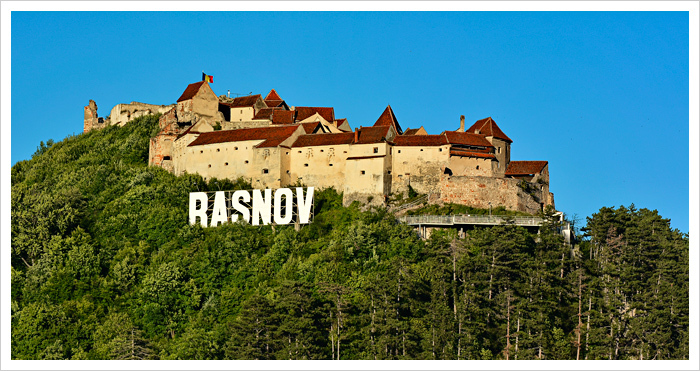 Rasnov Fortress (Rosenau in German), is located on a rocky hilltop in the Carpathian Mountains, 650 ft. above the town of Rasnov. First mentioned in an official document in 1331, the fortress was built by Teutonic Knights as protection against invading Tartars and was later enlarged by the local Saxon population. 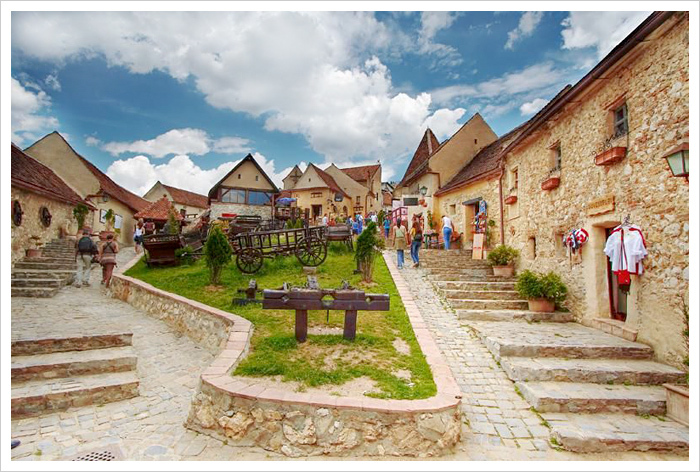 Strategically located on the commercial route linking the provinces of Transylvania and Walachia, Rasnov differs from other Saxon fortresses in that it was designed as a place of refuge over extended periods of time. As such, it had at least 30 houses, a school, a chapel and other buildings more commonly associated with a village. The defensive system included nine towers, two bastions and a drawbridge. Surrounded by 500-foot-slopes on the north, south and west sides, the fortress was obliged to surrender only once, in the year 1612 when invaders managed to find the secret route that supplied the people inside the fortress with water. With the location of their water supply no longer a secret, the need for a well inside the fortress became a must. According to local legend, two Turkish prisoners were put to the task of digging a well through solid rock in the center of the fortress. They were promised their freedom once the well was finished. Work on the 470-foot-deep well began in 1623 and took 17 years to complete. The well provided extra security as it meant the people didn't have to go outside the gates at all during a siege. It was in use until 1850 when the wheel broke. 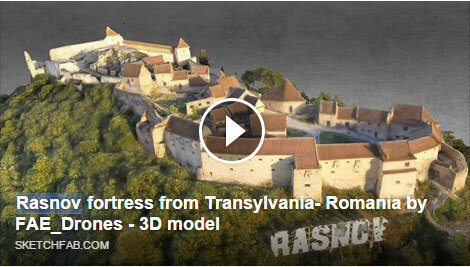 The last siege of Rasnov Fortress took place in 1690 during the final Ottoman invasion of Transylvania. Damaged by fire in 1718, it was rebuilt the following year. The next major damage occurred as the result of an earthquake in 1802. The fortress was last used as a place of refuge during the revolution of 1848 and was abandoned after that. Recently, the old fortress has been restored to its former glory and today, you can visit the impressive remains. There is also a museum here, hidden behind the ancient walls, where you can find a skeleton buried beneath a glass floor, as well as some other interesting artifacts. The inner rooms are maze-like, with several wooden ladders linking them and a few so-called secret passages which should keep you busy for quite awhile.